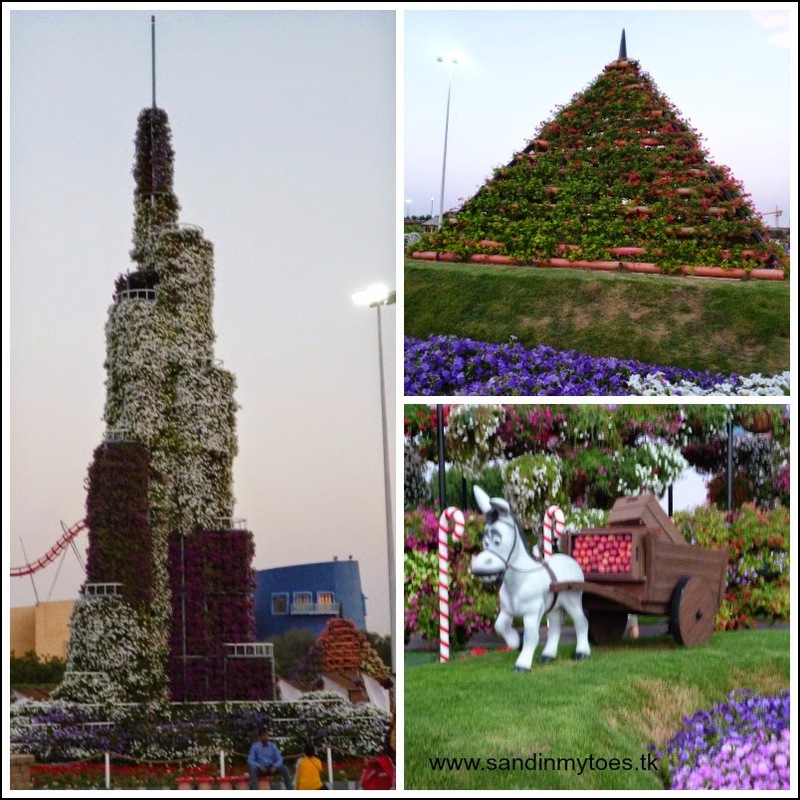 Dubai Miracle Garden is just what it's name suggests - a paradise of flowers in the desert! We visited this place last year, but the allure of flowers as far as the eye can see, and new landscaping attractions is enough to make it worth visiting every year. Besides, I want to make the most of the good weather before the horrid summer is upon us! Running around is what Little Dude likes to do best, so we found ourselves at the Miracle Garden this weekend. It's really not hard to believe that there are over 45 million flowers in this place! I mean, they are everywhere and landscaped in the most wondrous ways. They form houses, trees, landmarks, and peacocks. They carpet almost every inch of the garden, and they are also around the walls of the boundary. In short, this is floral heaven! One of the main attractions this year is the floral house, which has also been entered in the Guinness Book of Records for the longest flower wall. It is a big house, and must have taken a lot of work to completely envelop it in flowers. There's also a peacock garden, complete with three floral peacocks and peacock thrones to sit on. The picture on the extreme right below shows lamps designed as flowers. They looked lovely when it got darker. 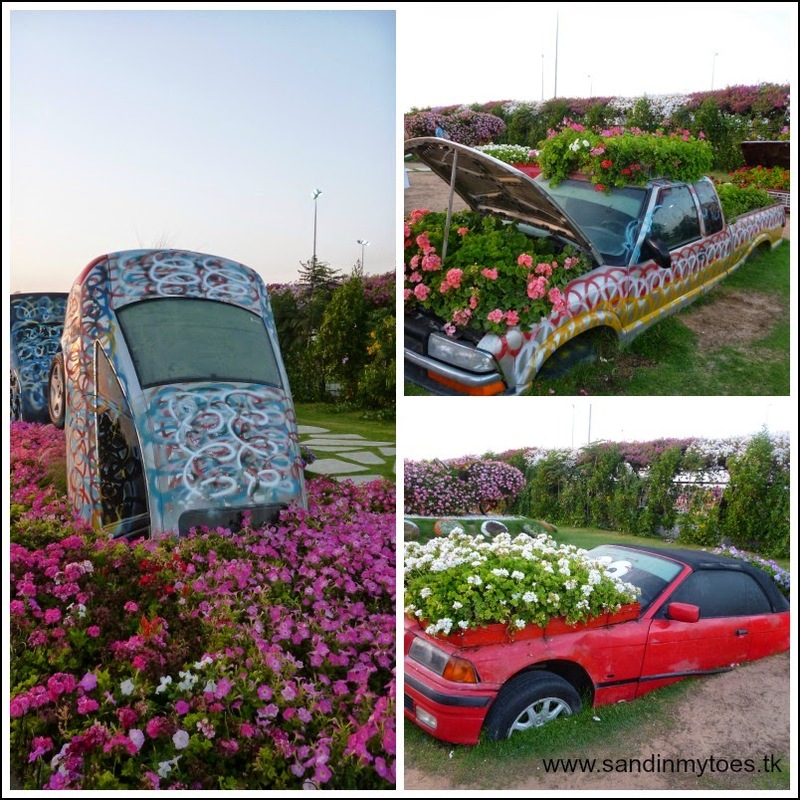 Another of the more interesting displays is the car garden, which has to be seen to be believed. The fleet has grown much larger this year. There's also a replica of the Burj Khalifa (the tallest building in the world), which is lit up after dark. There are many pyramids, and also a display of farm animals which Little Dude loved! 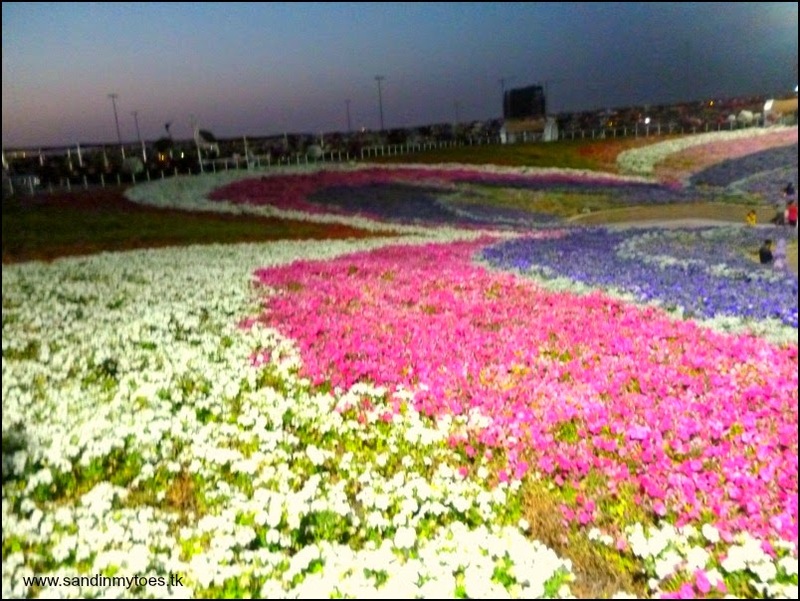 There's so much to see, and they have even opened up Phase 2 of the Miracle Garden, which is just huge, and actually looks like a valley of flowers. It's too bad we got there after sunset so I don't have many good pictures to share. 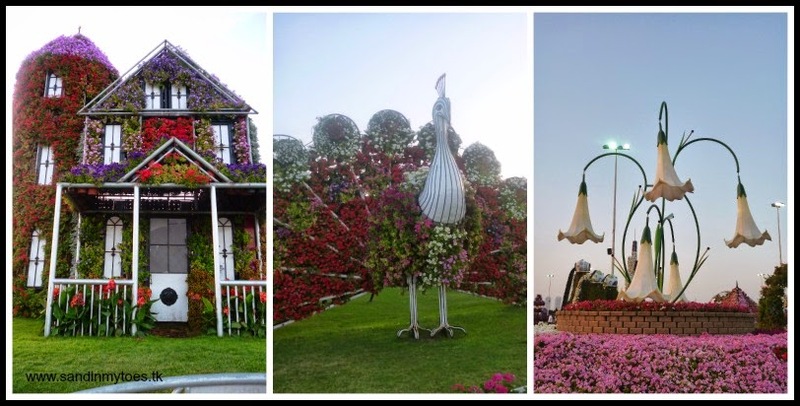 The Dubai Miracle Garden is only open for a few months a years, so is a must-visit if you are in Dubai during the winter and spring. It's a wonderful place for families to spend hours wandering amidst such natural beauty. It's one of those places which transport you to a different world altogether. This post has been linked to Magic Moments, What's The Story? and Country Kids from Coombe Mill. Thank you, it really is like fairy land! Yes, the cars really are a sight! Interestingly, most of these flowers don't have a strong fragrance, but it pleasant. I haven't heard of this place, so thanks for sharing. Will have to take a look before it closes! Everything is almost always possible in Dubai! We are lucky to witness them. The restaurant and strawberry patch in phase 2 opened already? 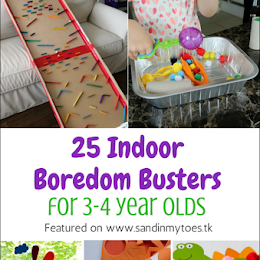 Yes, they always do something new every year, and it always gets better! I didn't see either, but it may be because it was past sunset, and we were tired when we got there! 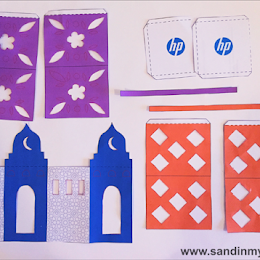 Thank you, Charly, you really must visit Dubai if you can! Thanks for letting me know about the other linky, I'll check it out. That is so cool! What an amazing place! Thanks for sharing it...I love the car gardens! Thank you, the cars were really interesting! It was amazing, Michelle! Thanks for stopping by. oh wow what an utterly stunning place to visit! Wow! The Car Gardens are really pretty! Thanks for sharing!